Jordan Moyer is this month’s Public Affairs Student Spotlight. 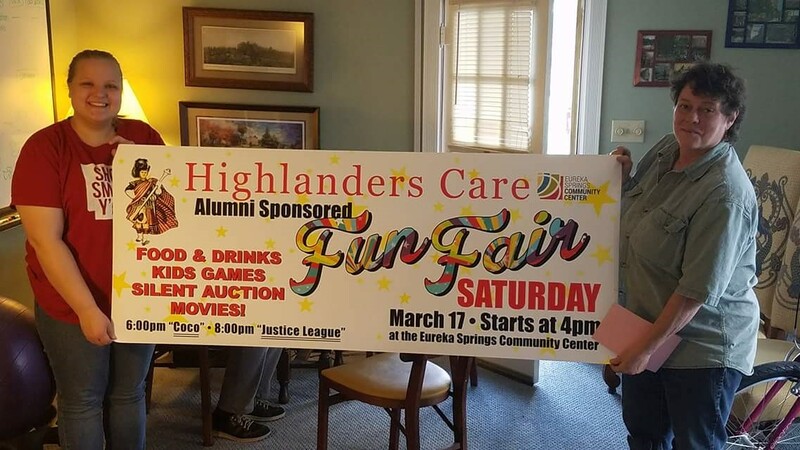 Moyer was nominated for the CNAS Citizen of the Week by several members of the community for putting together the Highlanders Care Fun Fair on Saturday, March 17, at the Eureka Springs Community Center. The event included a variety of games for kids, a silent auction and two movie showings in the gym. It was a fundraiser for the community center. Because of this, several members of the community nominated Moyer for Citizen of the Week by Lovely County Citizen. She was recognized for this accomplishment March 21. A native of Eureka Springs, the members were impressed Moyer came back to create this event rather than host in Springfield where she currently attends MSU. “I had a great time, and I would love to create an event and raise money if anyone needs help,” Moyer said.